Aggregate is the technical name for stone, sand and gravel used in construction. It is in the buildings we live and work in. It’s the roads and sidewalks we drive and walk on. It plays a vital role in the water purification process and can even be found as filler in paper and some pharmaceuticals. When you think about it, aggregate is quite literally the foundation of our economy and society – which is a very impressive accomplishment for something as small as a grain of sand. On average, approximately 164 million tonnes of aggregate are used in Ontario each year. That's about 12 tonnes per person. The aggregate industry creates 7,000 direct jobs and 34,000 indirect jobs. The industry contributes $1.6 billion to Ontario's GDP. An average brick home requires 250 tonnes of aggregate, which equals 12 truckloads. An average school needs 13,000 tonnes of aggregate, or 650 truckloads. One kilometre of a six-lane road uses 51,800 tonnes of aggregate, or 2,590 truckloads. One kilometre of a subway needs 91,200 tonnes of aggregate, or 4,560 truckloads. There are more than 21,000 truckloads of aggregate in Ontario on any one working day. It would take approximately 2,624,000 extra litres of diesel fuel annually, if every truck had to drive just 1 extra kilometre to their site. 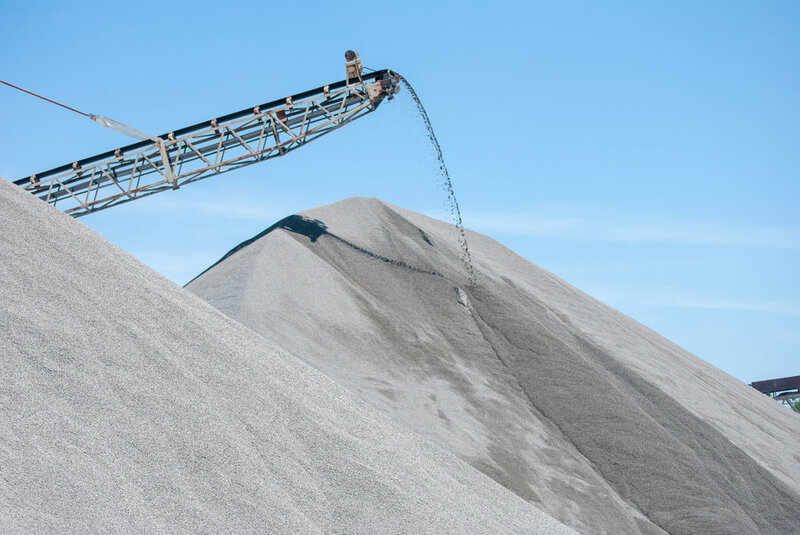 The GTA consumes over 50 million tonnes of aggregate annually, and demand is growing. Over the next 25 years, the GTA is expected to need 2.5 billion tonnes of aggregate. WHERE DOES AGGREGATE COME FROM? 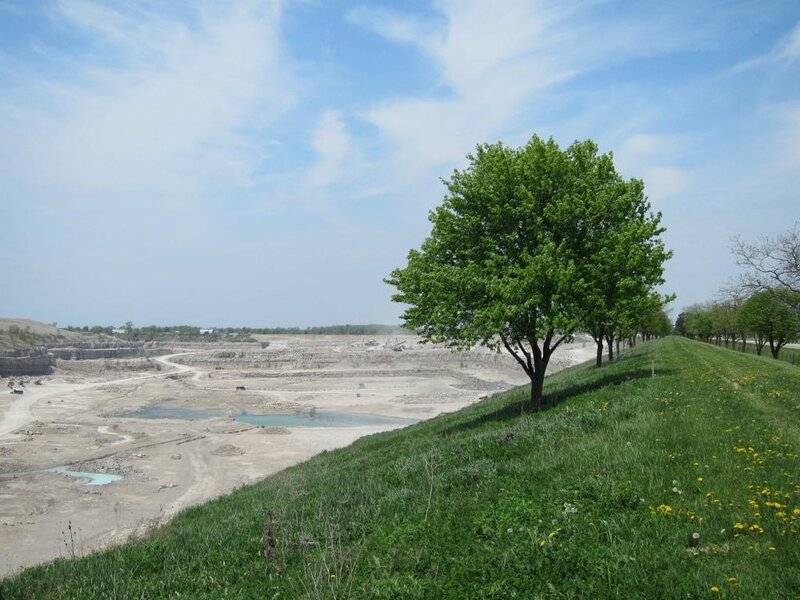 Aggregate is surface-mined in pits and quarries across Ontario. Quarries are large, naturally occurring deposits of rock – like granite, limestone and sandstone – used in building materials. While the term “mining” is used to describe the process of rock extraction and generally conjures up images of tunnels stretching deep into the earth, quarries are actually located at the surface. In fact, they rarely reach a depth greater than 100 feet. Pits are located in areas where glaciers left behind clean deposits of sand and stone. Sometimes the gravel is deeper than the groundwater table and the gravel is extracted leaving behind clean ponds and lakes. Like petroleum deposits and other types of minerals, aggregates are only found in places where nature put them. Planning around aggregates is a challenge as operations have to be located where the resource is (unlike other types of land uses such as industrial and residential areas, which have much more flexibility).